Welcome to my online store! I have several products for sale here that might interest you. If not, please tell me what you’d like to see here and I’ll see what I can do! I accept all major credit cards, checks, money orders and cash. For online purchases, I use PayPal. Note: You do not need to sign up for a PayPal account, if you don’t already have one. I can ship via most carriers. If you have a preference, or would like me to bill your shipping account, please let me know. 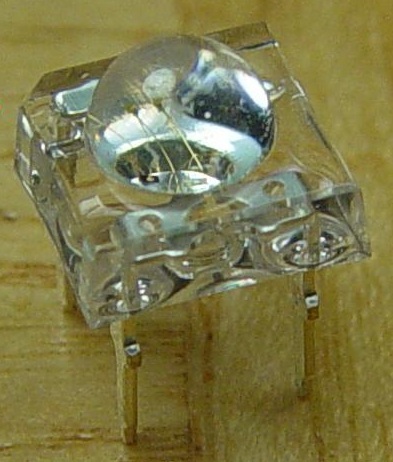 12 bright blue LEDs in a circle – what would you call it? I call it the “12 LED circle”, or 12LEDcircle for short. This small, round PCB (1.25 inches in diameter) holds 12 LEDs, a tiny push button for changing display modes and a pre-programmed microcontroller to sequence the LEDs in a variety of mesmerizing patterns. MAKE vol 25 features a little article I wrote about building a “Breadboard Arduino”. I put together a kit with all the parts you need to build the project in the magazine. The kit includes everything you need: a solderless breadboard, jumper wires, a pre-programmed ATmega328P with pin label, USB adapter and basic components to perform the basic “software experiments” in the article. You need: a computer with a spare USB port that can run the free Arduino IDE software and a USB A to mini-B cable. If you would like to buy more than one at a time, then please use this “Add to Cart” button instead of the “Buy Now” button. That way you can change the order quantity on the next page to whatever you like! 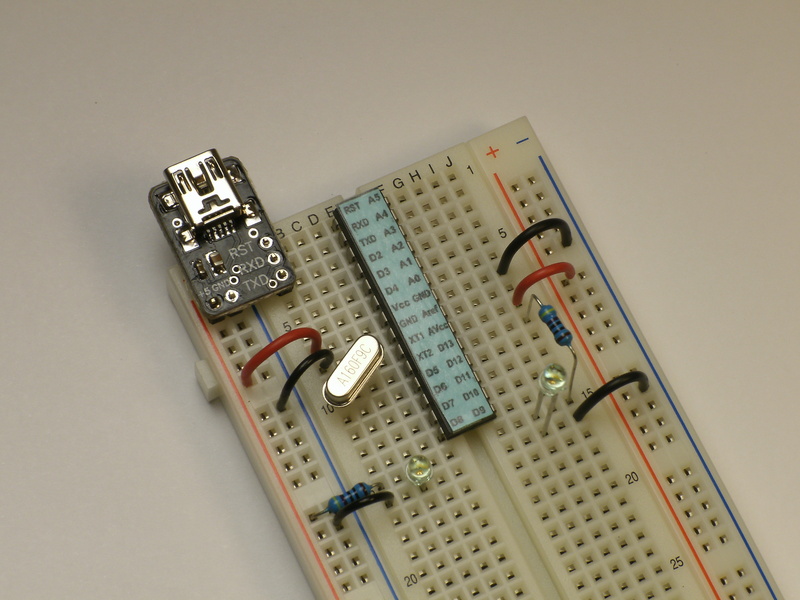 By popular demand, I’m now offering some of the individual parts to the Breadboard Arduino Kit. 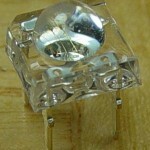 A deluxe RGB LED blinky that you can build! Available here soon! In the meantime, try BG Micro in Dallas TX.